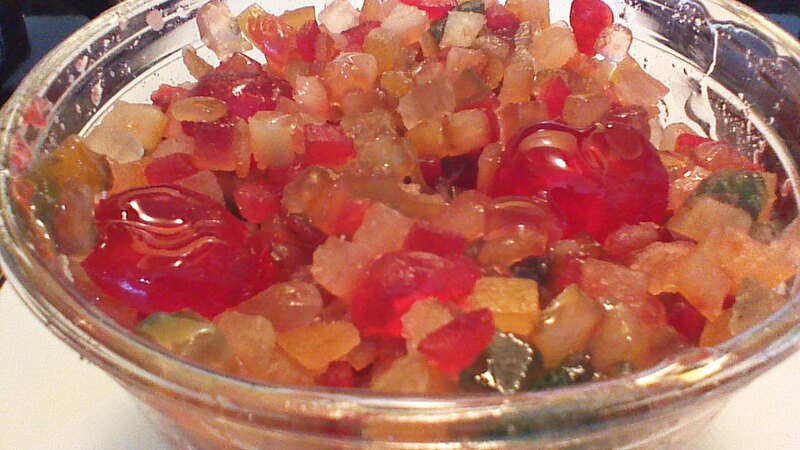 Every December, food markets offer towering displays of fruitcake ingredients, including container after container of brightly colored preserved fruit. The displays are pretty… but do you know anyone who actually eats fruitcake? Neither do I. Now, if you’re a card carrying member of the Fruitcake Fan Club, there’s no need to send me hate mail. 🙂 I’m not alone in my thinking… all of those containers of preserved fruit are clearance priced – 75% off! – come January. Moving right along, a 75% off sale on baking ingredients is tough for Crowded Earth Kitchen to pass up! I couldn’t resist, and tossed a few containers into my cart. After a bit of experimenting, I came up with this recipe for you. 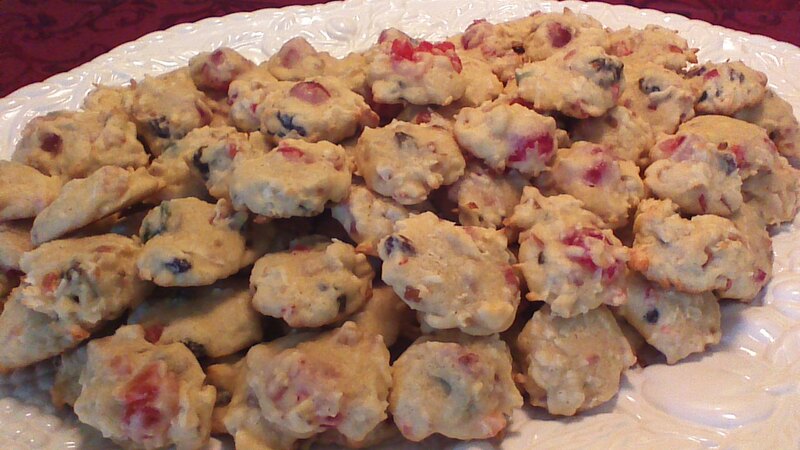 Jeweled Fruit Cookies are delicious… an unexpected blend of flavors that work well together, with a pretty appearance. Enjoy! Step 1) Cream together butter, sugars, eggs, and whiskey in a large bowl. Step 2) Mix baking soda, nutmeg, cloves, and flour in a separate bowl. Add dry ingredients to wet ingredients, half at a time. 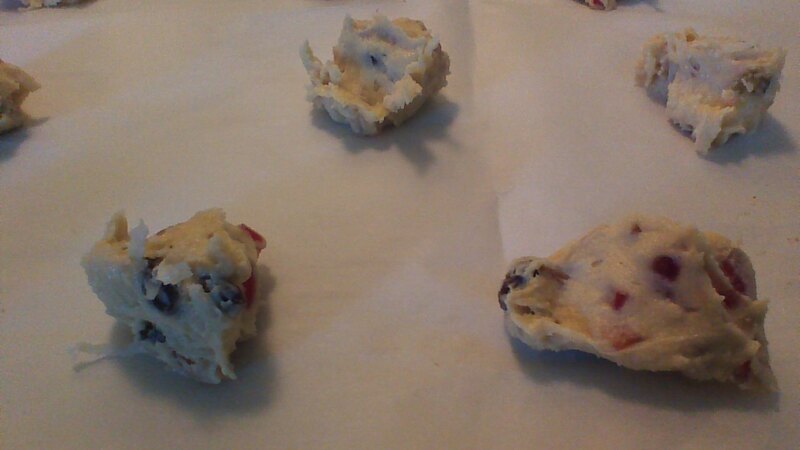 Step 3) Gently stir in preserved fruit, raisins, and coconut. Step 4) Drop by rounded teaspoons onto baking sheets lined with parchment paper. Bake in a preheated 375 degree oven for 10 minutes. Cool on a wire rack. 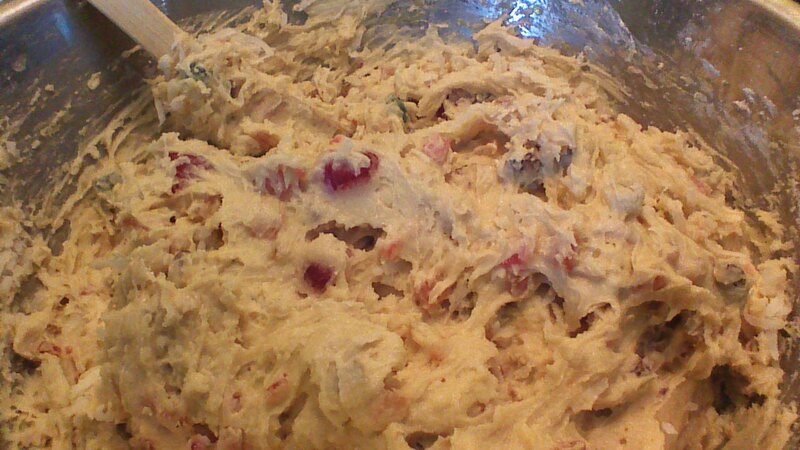 This entry was posted in Cookies and tagged baking, cookies, Cooking, Food. Bookmark the permalink.